I live in Alabama, we don't have a lottery - all the states that surround us do. When the lottery gets up to $100 million + Mike and I will cross the state line to give it a shot. We have an agreement, I get to go on a Girls Walt Disney World Trip with Beth D., Beth G. & Didi and he gets to go shoot doves in Argentina. Unfortunately, we haven't won that lottery yet, so on to plan B, save money so that one day we can make that happen. 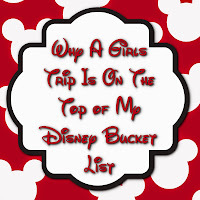 So why is that the #1 thing on my Disney Bucket List list? Here's why, and just so you know, it should be on the top of your list too. I am a Mom and Wife with everything that entails - laundry, cooking, dishes, cleaning toilets, ect. I work a lot, and I put my heart and soul into everything I do with those jobs, my brain is always on. I do for others first and put myself last. That's not a complaint, just who I am. But in between the laundry and favors and work you start to lose site of who you really are. Everyone needs me time, I am giving myself permission to have some Me Time. It's so easy to stay in our safe little corner doing what we always do. The best friends are the ones who help push us out of that comfort zone to discover new and wonderful things. Let's face it, we are more adventurous with our friends than we are with our family. Whether it's trying a new dish, running your first 5K, riding Twilight Zone ToT or dancing the night away, stepping out of your comfort zone can be really fun. It's a judgement free zone. Every adult Disney fan out there knows "the look." It's the one you get anytime you tell a non-Disney friend, coworker or family member that you're going to Disney. It's usually accompanied by "Again? ", "Why?" or a shake of the head. One of the most awesome things about a Girls Walt Disney World Trip is that these friends will be as excited about it as you are, they understand why you want to wear Mickey ears and they are the first ones to want to ride Dumbo or Peter Pan's Flight with you and post pictures on Twitter, FB and Instagram. You can relax and just be yourself. Whether you prefer to relax by the pool, go to Senses for a spa treatment or spend an hour looking through everything at Walt Disney-One Man's Dream you can just be you and they will understand. You don't have to impress them or play hostess or lose those last 5 (or 20) pounds. You can laugh together and make fabulous new memories with wonderful friends and go home a better wife, mother, employee or travel professional for it. I love this. I love you. I totally get it! I too drive to other states for lottery tickets hoping to get to WDW more often with my winnings! I keep telling Beth D when I win the lottery I'm doing the same thing!! 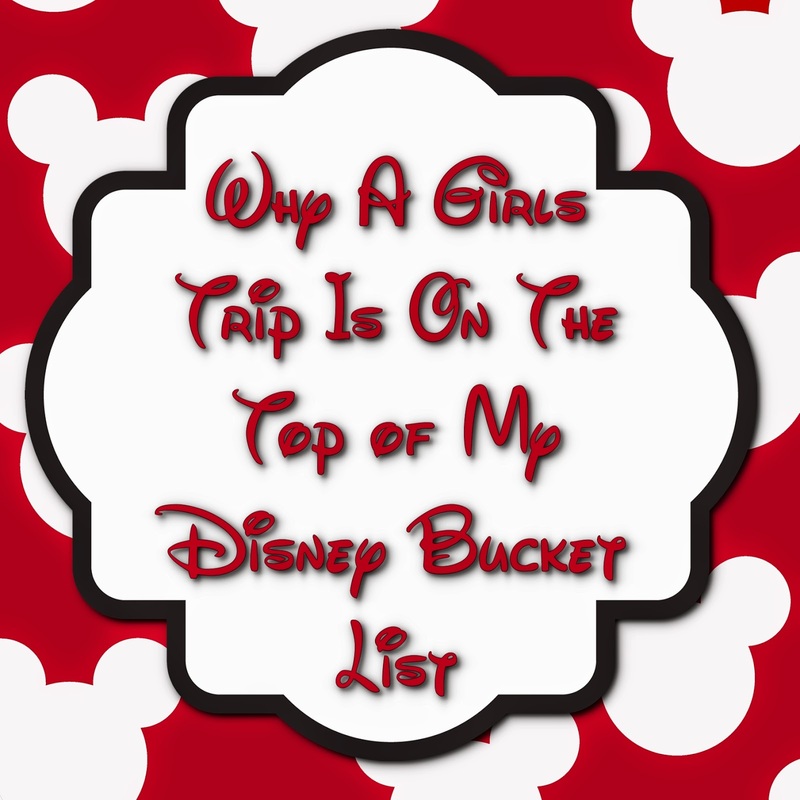 I'll bring all my virtual Disney friends with me to WDW!! You know I love you girl!! Maybe I should start my Disney Stash jar, by the time your boys are done with college we should have enough. Maybe one day one of us will actually win the lottery.